Good Evening Everyone from a very cold and wet Scotland, Had to check I hadn't slept through summer!!! Its like November here. Brrrr!!! Well You did great this week with the challenge. We didn't have as many entries. Think You have all been busy with the Jubilee Holidays. So onto the Winner who will receive a Voucher to spend in Willow Designs Store. Congratulations. If you can email me with at hazze89510@aol.com and I will arrange your prize and winners badge for you. Thanks again to Everyone who took part. 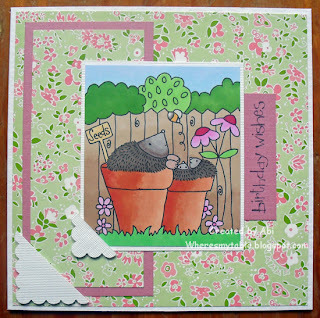 Pop back tomorrow when we have another super challenge this week from Anne-Marie for you.